Grill the marinated steak after you have defrosted it completely. 3 How Long Does It Take to Bake Minute Steak? Marinating can tenderize tough cuts of beef while infusing the meat with flavor. Most marinades contain an oil, an acid and a variety of herbs and spices. The acidic ingredient tenderizes, while the oil adds moisture. Vinegar or lemon juice usually provides the acid. Any preferred cooking oil, such as olive or canola, provides the oil for the marinade. Marinating the steak before you freeze it saves time later when you are ready to cook it. The marinade penetrates the steaks as they thaw so they are ready for the grill immediately upon defrosting. Combine the vinegar, oil, soy sauce and salt and pepper to taste in a small bowl. Whisk together to combine. Alternatively, use a commercially prepared steak marinade. Pour 1 cup of marinade into a zip-top freezer bag. Each freezer bag can hold four small steaks or two large steaks. Place the steaks inside the freezer bag. Push the air out of the bag and seal it closed. Turn the bag over, completely coating the steaks in the marinade. Set the bag flat in the freezer. 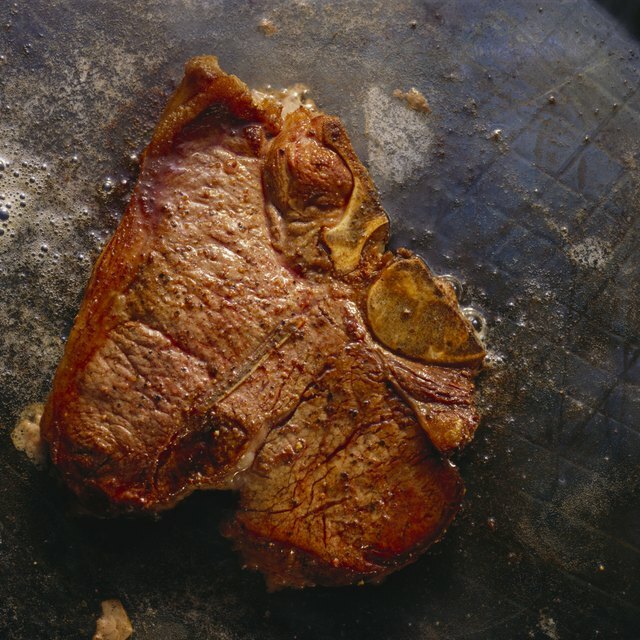 Remove the bag from the freezer 24 hours before you plan to cook the steaks. 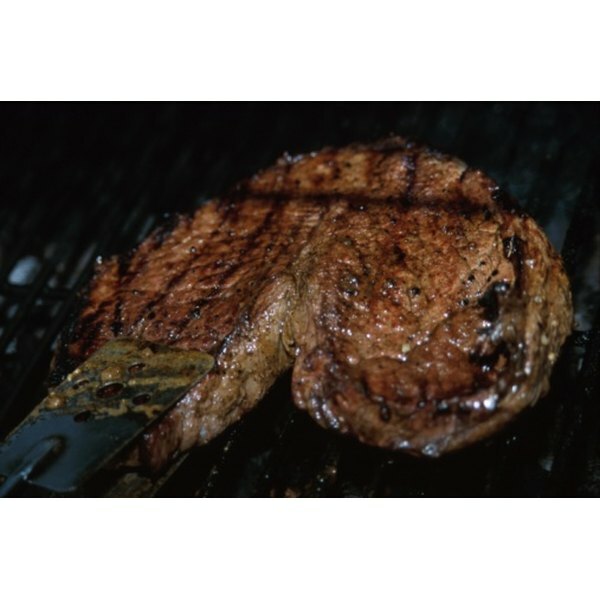 Thaw the steaks in the marinade completely in the refrigerator before cooking and serving them. Use a freezer container instead of a freezer bag if preferred. Lay the steaks in the container and pour the marinade over the top before sealing it closed and freezing. Set the bagged steaks on top a plate while defrosting them in case the bag leaks. This prevents a mess in the fridge.